Lurn Insider Review (By A Real Member) - Is It Worth The Money? You probably have been promoted to in order to join this training program and community by Anik Singal, and you are wondering if it can help you make money online or is it just a waste of time. Join me in this detailed Lurn Insider Review in order to know if you will benefit from joining Lurn Insider or not. I know how overwhelming, and sometimes confusing it can be trying to start making money online with all of these programs and platforms, and everyone claims to have the best way and the best system. 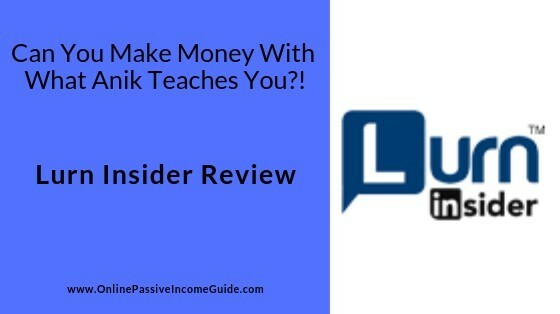 And as I already know that you can make money with Anik Singal and his training in Lurn Insider, but I also want to make you aware that you might not be following the best approach due to the high monthly cost you need to pay before you make any money, and due to the fact that the method taught here might not be the most newbie-friendly one, even though it’s a completely legit one. I will guide you to know the best approach to follow and will lead you to the platform where I learned this approach in the last section of this review. Price: $5 for the first 21 days Click Here To Get This Price! ), and $67/month after that. You still need to pay for external tools and paid traffic mainly. Lurn Insider is a training program that teaches you how to make money online through affiliate marketing mainly, by leveraging the power of email marketing right from the start. This is very similar to the main focus of Lurn Summit by Anik Singal that I reviewed not so long ago. And if you don’t know what affiliate marketing is, then in brief: it is a performance-based marketing concept where you promote other people or companies’ products and services and get paid for the sales you make. And affiliate marketing is a great way for making money online, but I believe that there’s a better way to do it instead of just started with email marketing campaigns directly. More on that in the last section about my recommended alternative. How Does Lurn Insider Work? Join Lurn Insider for the first phase of 21 days (Click here to get it for $5). Attend the 21 video lessons that will be unlocked one-by-one each day and do the assignments associated to each of them. After the first 21 days end, you will have a general idea about the business model you will follow in case that you decide to continue and pay the monthly membership fee of $67. After you start become a paying member, you get more training material unlocked for you every month in order to learn in a step-by-step approach. Choose your niche to do affiliate marketing with it. Start using an email automation software in order to build your list, and setup and automated sequence of emails to start with. Drive traffic to your opt-in page in order to collect your leads and build your list, and start sending them promotions for relevant products. When someone purchases what you promote, you get paid a commission from the product vendor or merchant. And this method works, but in my opinion, it is not the best way to start with as you still don’t have an authority and brand that will help you get the email list subscribers trust you faster. While if you follow the method taught in my alternative in the last section in this review of Lurn Insider, then you can get to start doing affiliate marketing the right way. 21 video lessons that you will be attending one every day. You can’t do all the lessons in the same day as they unlock one lesson for you each day. Each lesson is provided with an assignment and at the end of the first 21 days you will have to start paying $67/ month in order to unlock more training material every month. Every month you stay as a paying member you get one course unlocked for you to learn from, this is in addition to the weekly live sessions with Q&A sessions with Anik Singal, and an access to the Facebook group and community. Best Websites To Find A Writer. Best Tools To Build Your Sales Pages. PDF files that work as high level guides on specific topics such as: Copywriting, SEO, Facebook Ads, YouTube Ads, Blogging, E-commerce, …etc. These are weekly and bi-weekly webinars that used to be held by Anik and others between May 2017 and June 2018 that are recorded and you can get immediate access to all of them once you join Lurn Insider. These webinars cover different topics such as email marketing, video and audio content creation, e-commerce, ….etc. These are weekly live webinar that are still being held almost every week covering different topics when it comes to internet marketing with a main focus on generating traffic that converts into leads and purchases through different means such as: blogging, Facebook ads, YouTube ads, …etc. You get immediate access to all the recordings of the previous webinars once you enroll in the Lurn Insider program. 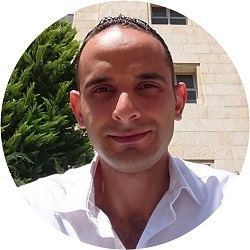 A full course of 6 weeks from Anik and his coaches for improving your email marketing content skills and performance. A list of +20 Hot niches that you can choose from in order to start your business. Advanced email marketing tips and tactics video lessons of around 4 hours of length in total. A short lesson from Lurn Insider’s Team on how to find the best offers to promote. A case study on how Anik made around $1.1 Million in affiliate commissions leveraging the power of event-based marketing. For big part of it, it’s about making money with affiliate marketing, which is the best way to generate passive income on the internet. Anik is a successful internet marketer himself. The cost of joining phase 1 is low ($5 through this link), or you can get it as an up-sell to the Lurn Summit for $0. Easy to follow, step-by-step training. Assignments are provided with almost each lesson. You get access to all the previous live webinars once you join, lots of material covering different topics. Easy to navigate dashboard and members’ area. The main method of affiliate marketing that is recommended is email marketing right from the beginning, which is not the best way to start doing it in my opinion as you don’t build your authority and brand this way, which makes it difficult to make your list subscribers convert into buyers. The main focus on driving traffic is through paid ads, not a newbie-friendly in my opinion. While at Wealthy Affiliate for example, you learn how to do affiliate marketing through building your own website (no coding required), creating content and building authority, and then, getting free organic traffic from search engines that would convert better than the one you get from paid ads. After the first month the cost becomes $67/month, which is expensive. The training unlocks one lesson everyday, which will make you take long time and pay for many months before you learn enough and become able to start making money applying what you learned. The membership fee doesn’t include the necessary tools, such as the email autoresponder mainly. While at Wealthy Affiliate, you get all the necessary tools including the web hosting included in your membership for no extra cost. Who Is Lurn Insider For? For those who want to learn how to make money online, but should have the money to invest in paid traffic mainly in addition to the monthly membership fee of $67 and the monthly cost of external tools. The monthly cost for accessing the members’ area and the training material is $67/month. But for the first 21 days you can join for only $5 by clicking here, and after that you pay $67/month. However, you can get a further discount for the first 21 days and get them for FREE in case that you purchase the Lurn Summit ($1 cost), and you will be offered to Join Lurn Insider as an up-sell for $0 for the first 21 days, and after that you need to pay the monthly fee of $67. Be aware that this is not enough as you still need to use an email autoresponder such as Sendlane which costs you at least $18/month for the lowest plan. So, the cost will be 67+18= $85/month! This is in addition to the money you need to spend on the paid traffic in order to build your email list. And even if you want to use the free SEO traffic (my preferred), you still need to pay for the hosting of your website, around $4/month. So, in total, you would be paying around $89 every month! While at my top recommendation for example, Wealthy Affiliate, you pay much less than this amount and you get the web hosing included in your package for no extra cost. This is in addition to the keyword research tool, as the main method of doing affiliate marketing you will learn there relys on blogging and getting free organic traffic from search engines. I didn’t have to contact the support as I could log into my account easily everytime. However, the support of the tools and service providers you need to use (email autoresponder, web hosting, …etc.) is separate from Sendlane, and you have to contact each one alone. Conclusion – Is Lurn Insider A Scam Or Legit? Price: $5 for the first 21 days (Click Here To Get This Price! ), and $67/month after that. You still need to pay for external tools and paid traffic mainly. Lurn Insider is not a scam, it is a legit program that will teach you how to make money online, mainly through affiliate marketing using email marketing campaigns. However, my take on it is that the monthly cost after that first 21 days is high, and you still need to pay for the external tools. Also, if you choose to use the paid traffic in order to build your email list, then in addition to the cost of the ads, it will be more difficult to make money from your list as you haven’t built your authority yet and they don’t know you and don’t trust you will, which makes this method less sustainable in my opinion than the method in my alternative below. A More Evergreen & Efficient Alternative To Lurn Insider? As I explained above, Lurn Insider is a legitimate training program and it will teach you how to make money online. But one of the downfalls is that it focuses on using email marketing right from the start, even if you still don’t have a brand and authority. This means that you need to use paid advertising in order to build your list and this will cost you an extra amount of money. In addition to that, if you want to use paid traffic in order to build your list without having your website or blog, then you are gonna find it difficult to build the trust and monetize your list. And even though there’s some training in Lurn Insider on using the free traffic through building your blog, but it is not comprehensive and you still need to pay for the external tools such as the web hosting and the SEO keyword research tool. This is in addition to the cost of the email autoresponder and the monthly membership at Lurn Insider. The total cost this way might exceed $89/month!! While, at my alternative, Wealthy Affiliate, you learn how to do affiliate marketing through building your website (Zero Coding and Zero Technical Experience required) and through creating useful content that gets the free organic traffic from Google. This traffic will trust you more and will convert better than the one you get from the paid traffic directly to your email list as they have seen that you already have an online presence and brand. And this alternative also provides you with the main tools that you need such as the keyword research tool and the web hosting included in your membership for NO Extra Cost. And the monthly membership fee is anyway much lower than the monthly fee of Lurn Insider that still doesn’t include the tools! Even better, you can try my recommended alternative for FREE before you join the paid membership, and you can even stick to the free plan forever. NO Credit Card Required. 100% Risk FREE! This level is included in the free membership plan and it allows you to build a free WordPress website in 30 SECONDS! ZERO Coding! So, if you want to follow my recommended method of learning affiliate marketing through building your website and authority, then you can join my recommended platform through my Wealthy Affiliate Review even for the Free plan in order to try it. In addition to that, you get the chance to get direct coaching from ME, in addition to an access to a great community of more than 1.5 Million online entrepreneurs on this platform. It is up to you whether to choose this method or to choose the method taught in Lurn Insider, both are legit, but in my opinion, Wealthy Affiliate has a better advantage in the fact that it focuses on building a brand and authority before you build a list, and they also provide you with all the main tools for NO Extra Cost. So if you still prefer to follow Lurn Insider’s method, then click here to join Lurn Insider for the discounted price of $5, and if you want to join my alternative, then you can join it through my WA review here. Go now and take action and stop wasting your time and money looking for the magical and push-button solutions that don’t exist!